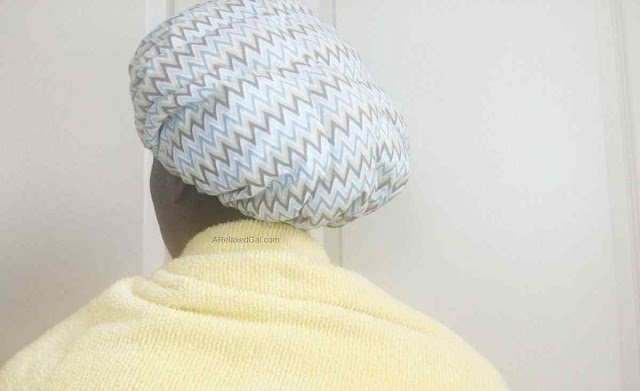 Deep conditioning is an important part of a healthy hair regimen. It can help eliminate frizz, hydrate dry hair, strengthen hair. Overall deep conditioning your hair can give it a second life. If it’s done the right way. Before I started my hair journey there were many times I would go to the salon and my hairstylist would tell me my relaxed hair felt dry. This was puzzling to me. I couldn't understand why my hair felt dry. I was moisturizing my relaxed hair and even deep conditioning so my hair shouldn’t be feeling dry. After going through this cycle several times I told my stylist I was deep conditioning. She was also puzzled so she asked me what conditioner I was using and how I was using it. I then told the stylist the conditioner I was using, how I applied it to my relaxed hair, that I'd leave it on for about five minutes and then rinse it out. After hearing this she gasped and said: "that's not how you deep condition your hair." This is probably the most important step of deep conditioning. What I didn’t realize is that not all conditioners are deep conditioners. 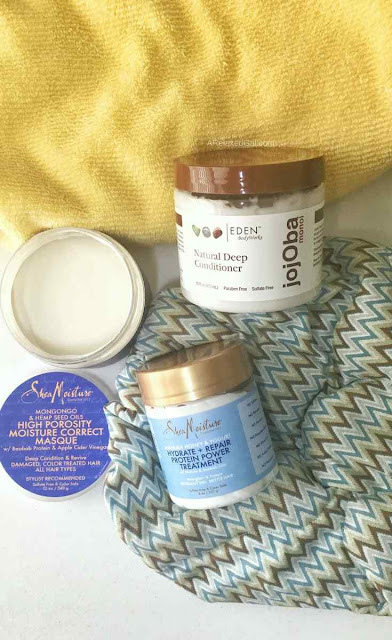 Deep conditioners and hair masques have ingredients that penetrate your hair shaft versus sitting on top of your hair like rinse out conditioners. If you’re looking for a deep conditioner check out my list of 7 hair masks for dry hair. Regular varies person-to-person. Some other hair care bloggers I follow only deep condition once a month, others every other week. I deep condition once a week, every time I wash my hair. And when I regularly deep condition my hair I notice a big difference in how soft and manageable it feels. When I apply the deep conditioner I like to work in sections and start applying it to the oldest and driest part of my hair first which is my ends. I also make sure to avoid applying it to my scalp because so I don’t cause any irritation. If you’re still curious about how I deep condition my hair I’ve put together a video so you can see it step-by-step. This is probably one of the few times that heat is good for your hair. When the deep conditioner is warmed up it penetrates the hair shaft better. Another way to help the deep conditioner penetrate your hair shaft is to steam your hair. Using steam helps the hair cuticle to lift which is what allows for the greater penetration of the deep conditioner. This is great for those with low porosity hair. To steam your hair you can either purchase a steamer or do a DIY with wet towels, shower caps, and a hooded dryer. If you use heat or steamed your hair it’s a good idea to let it cool before you start rinsing it, I like to let my hair cool for at least 10 minutes. After cooling I rinse my hair with cool water because it seals the cuticles. This gives my hair a smoother and shinier look. Share in the comments how often you deep condition your hair and your fav deep conditioner.